The Tao of Gini: It took me forever to put my makeup on this morning. It took me forever to put my makeup on this morning. for the past few weeks or so. 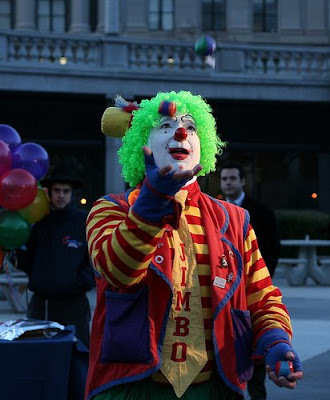 You are not just a juggler...you're the whole damn traveling circus you crazy lady. Hope you don't look like the clown. As long as you don't start looking like the bearded lady!! you are one cute bozo!